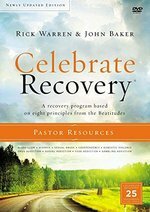 Celebrate Recovery: Updated DVD "How to Start a Christ Centered Ministry in Your Church"
For over 20 years, Celebrate Recoveryhas helped the church fulfill its role as Christ's healing agent. The senior pastor's support of the recovery program makes it acceptable for someone to be in recovery. It is not just "those" people anymore it's "us." 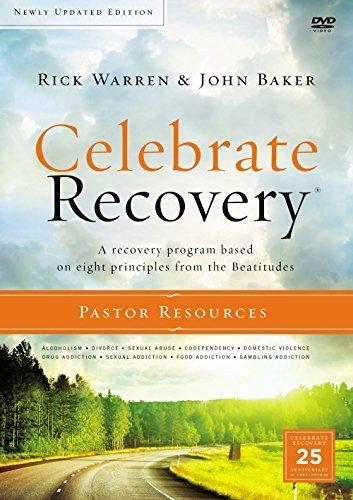 Celebrate Recoverydraws from the Beatitudes to help people resolve painful problems in the context of the church as a whole. Rather than setting up an isolated community, this powerful program helps participants and their churches come together and discover new levels of care, acceptance, trust, and grace. Road to Recovery sermon titles include: The First Steps to Freedom Where to Get Help When You Hurt Letting Go Coming Clean Making Changes Repairing Relationships Maintaining Momentum Recycling My Pain "